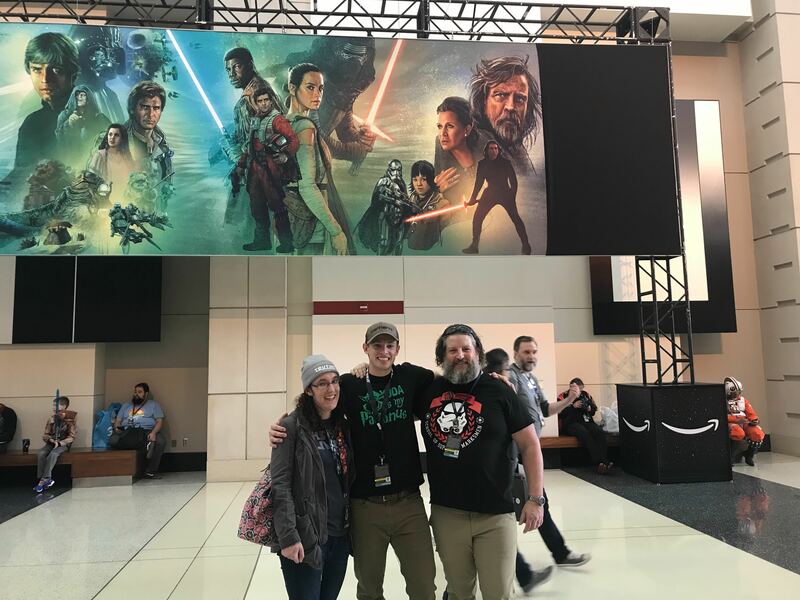 Up to date coverage of all the literature news at Star Wars Celebration Chicago! During the Lucasfilm Writer's Roundtable Panel on Monday, we were introduced to the mysterious Project Luminous! 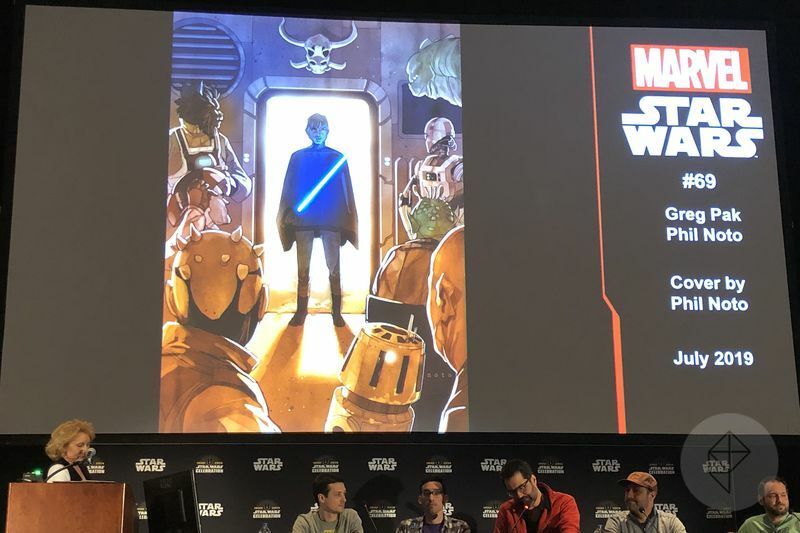 Project Luminous will bring together Cavan Scott (Dooku: Jedi Lost), Daniel José Older (Last Shot), Justina Ireland (Lando's Luck), Charles Soule (Darth Vader: Lord of the Sith), and Claudia Gray (Master & Apprentice) for a HUGE project in 2020, but other than that, details are unknown. So naturally, we have some theories. 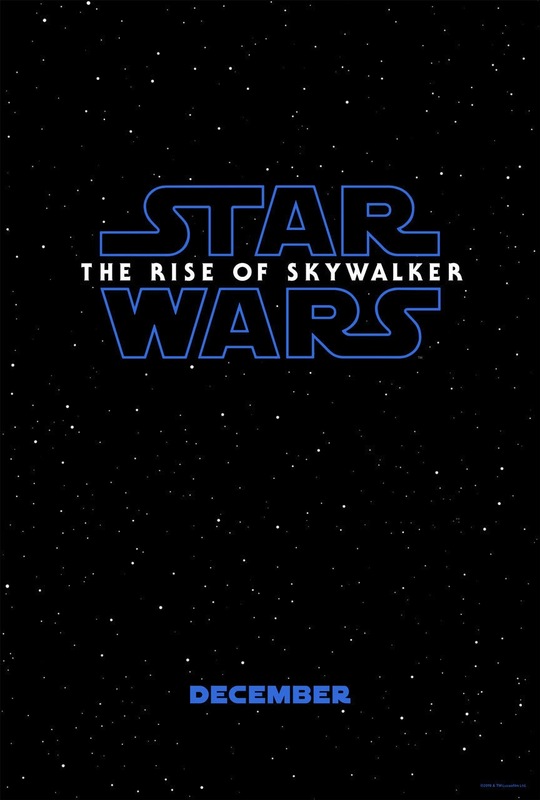 Is this an entire event series of books/comics like the New Jedi Order? 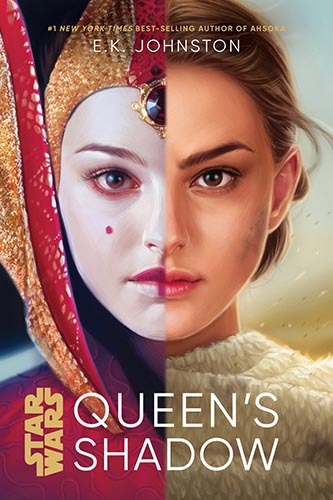 Is this a book anthology similar to From A Certain Point Of View? 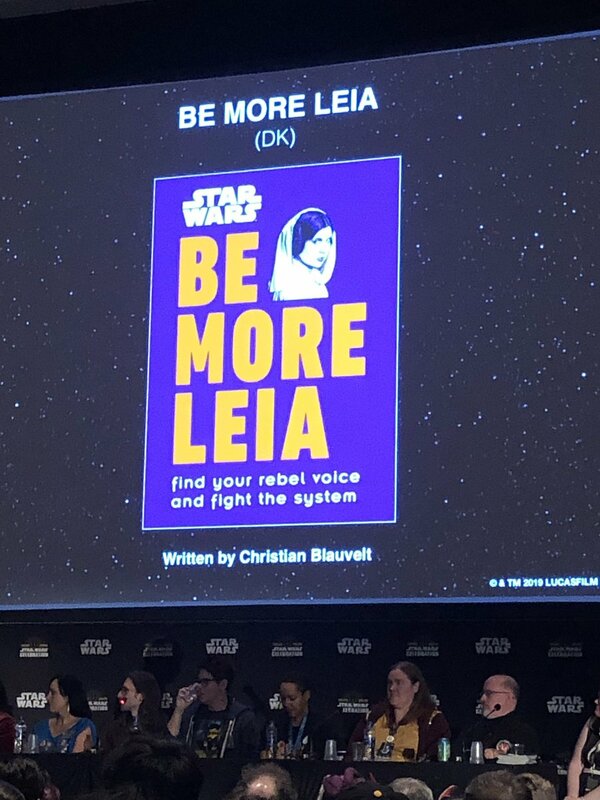 Is this a publishing initiative based solely around Jedi Master Luminara? "Luminous beings are we, not this crude matter..."
While Sunday was full of amazing panels and announcements from The Mandalorian and Clone Wars, we weren't given more news about publishing, so instead, check out this trailer for Season 7 of The Clone Wars that gave me chills. 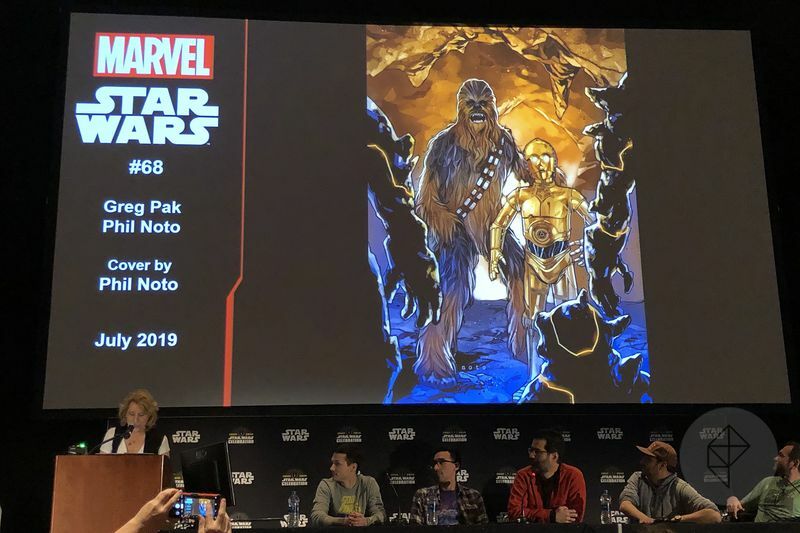 A number of creative announcements were made surrounding the immediate future of Star Wars comics over at Marvel. Here are some of the most important updates concerning your pull lists! 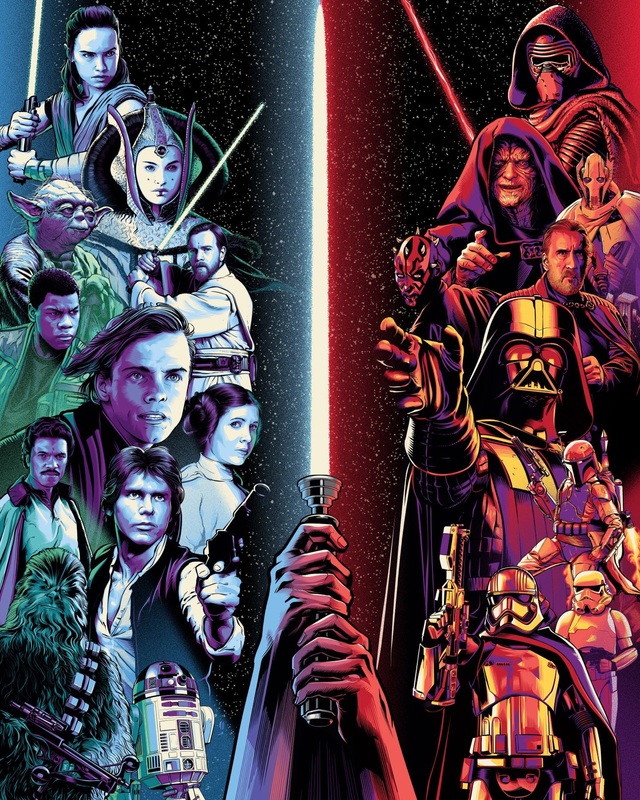 If you've been enjoying Kieron Gillen and Angel Unzueta's recent run on the main Star Wars title, you're not alone, but the will be ending their tenure on the book with issue #67 as The Scourging of Shu-Torun comes to a close. 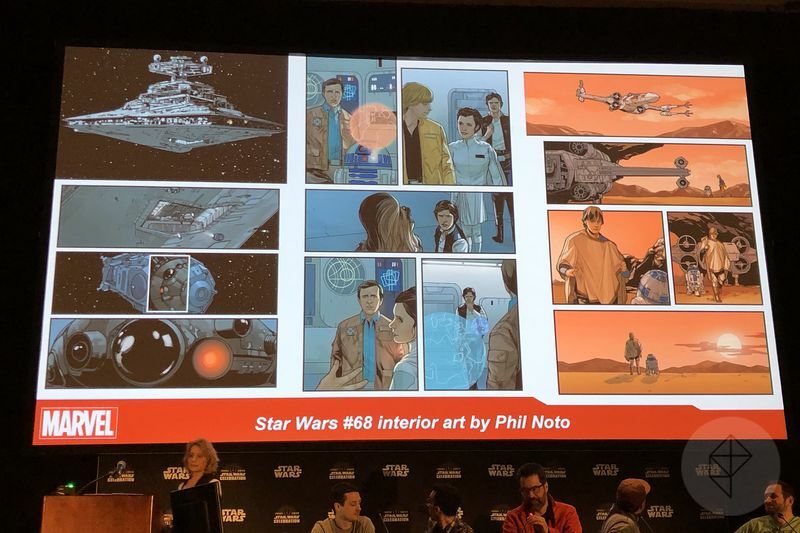 Starting at issue #68, Greg Pak and Phil Noto will be taking over as writer and artist, respectively. Check out some of preview images that fans were treated to below! A new 6-issue miniseries called Target Vader was announced by Assistant Editor Tom Groneman. With the series coming up in July, here's what we know. The series stars Valance, a cyborg bounty hunter with a vendetta against Vader. He was originally introduced into the Canon back in Star Wars #16. Previously, Valance was seen extensively in the 1970s Star Wars comics. 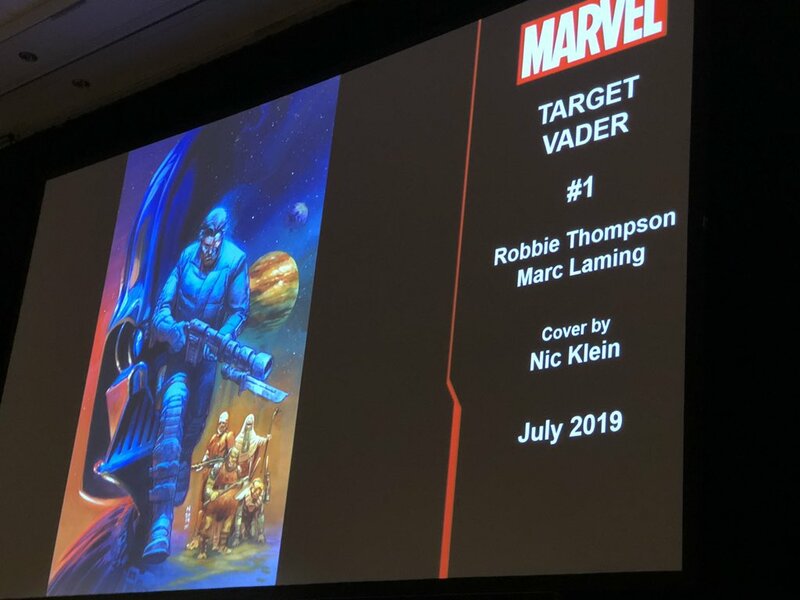 Robbie Thompson will be writing the new series with Marc Laming tackling interior art. Nic Klein will creating covers for the run. Valance is said to be a "match for Vader in a way we haven't seen before." Update: If you followed along with our Twitter coverage, then you unfortunately know that there were no big announcements at this panel! While that is undoubtedly disappointing for all of us (Who knows when we'll get details about the Journey to IX series? ), we did learn a lot about the authors, themselves. Here are some of our highlights from the panel. For full coverage of what we saw, check out the Twitter link below. 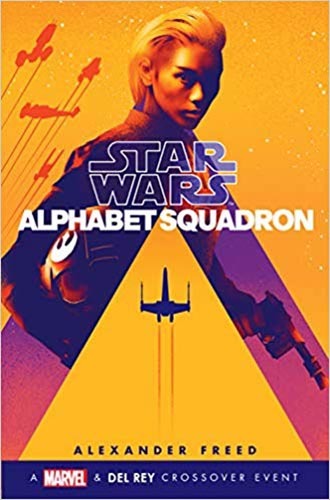 Delilah S. Dawson points out that independent novels (like her phenomenal Phasma) can be a great introduction to the canon for new fans - we agree! Cavan Scott, writer of Dooku: Jedi Lost, got into Star Wars for the first time through reprints of the old Star Wars comics! Claudia Gray and Cavan Scott traded notes while writing Master & Apprentice and Dooku, respectively, about a new character named Rael - an "interesting and new" Jedi Knight. Obi-Wan will be about 17 years old at the start of Master & Apprentice. Dooku: Jedi Lost will start when the Count is only 10 years old. This produced an audible gasp from the crowd. Before working on Dooku, Cavan Scott worked on Doctor Who audio dramas in the UK! Before writing Alphabet Squadron, Alexander Freed had to learn how pilots and military folks communicate and carry themselves since he has no military experience. Cardinal (from Phasma) is officially BACK in Black Spire! We are going to get a little more of a glimpse into Chiss culture in Thrawn: Treason. Zahn wants to write more books to further flesh that out. The panel was a TON of fun despite the lack of new announcements, and it reminded us just how lucky we are to have these folks crafting our universe. 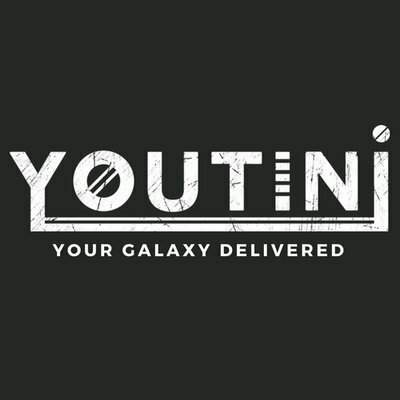 Check out the Youtini Twitter Feed for the rest of the panel updates and more info as the weekend continues! 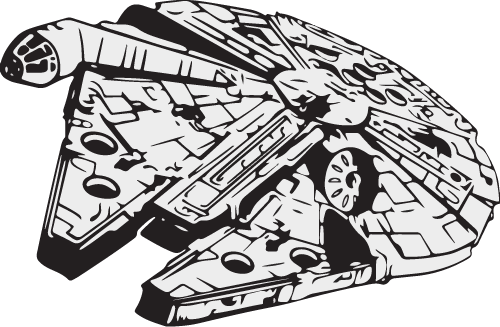 Friday brought something that we are all marvelously excited about at Youtini - the Lucasfilm Publishing Panel! Here's what we found out about the future of the Extended Universe! The squadron is full of traumatized pilots after the battle of Endor led by General Syndulla. 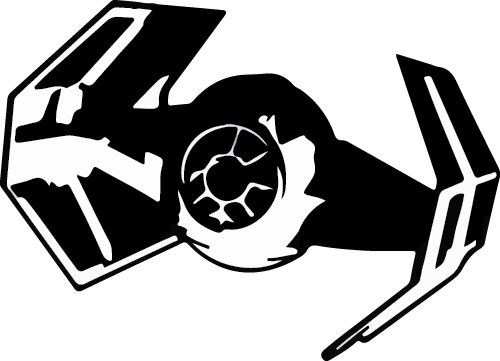 They'll be fighting "Shadow Wing" - a "super bowl squad" of TIE Fighters. 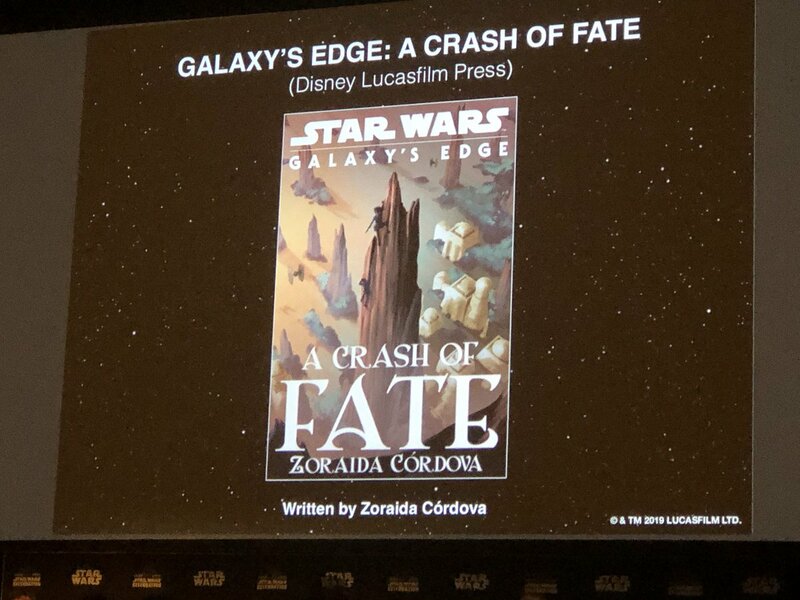 The novel will include comic book pages from Marvel's Companion TIE Fighter series wrtitten by Jody Houser. Gray connected to Qui-Gon intensely and jumped at the opportunity to write the novel. 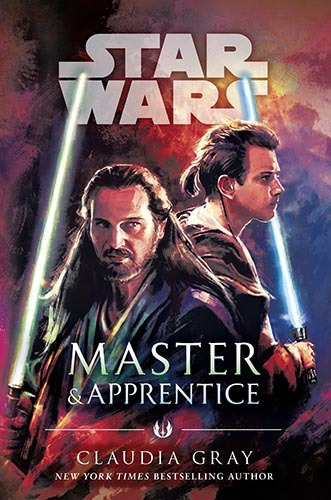 This book explores Qui-Gon's decision not to join the Jedi Council. Obi-Wan and Qui-Gon are "not doing so great" at the start of the book. She loves how the handmaidens always outsmart everyone by taking advantage of perceptions about them. 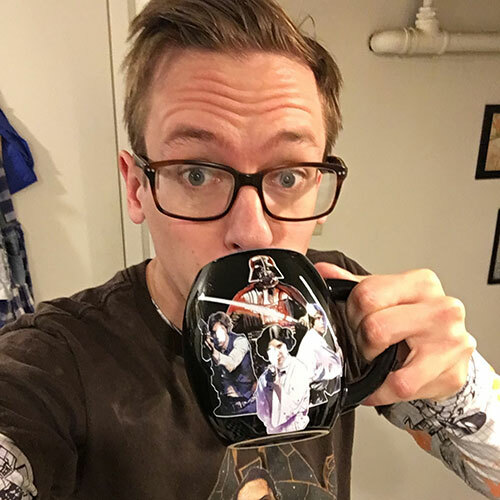 Thrawn gets "suckered in" to Tarkin and Krennic's plans. Fan favorite Cardinal from Dawson's Phasma returns! 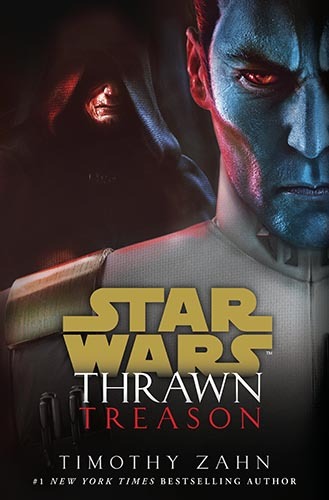 After their fated meeting on Thursday, Corey visited Timothy Zahn's interview panel where the following bits of information was dropped about this summer's trilogy conclusion, Thrawn: Treason. Here are some of our favorite bits! 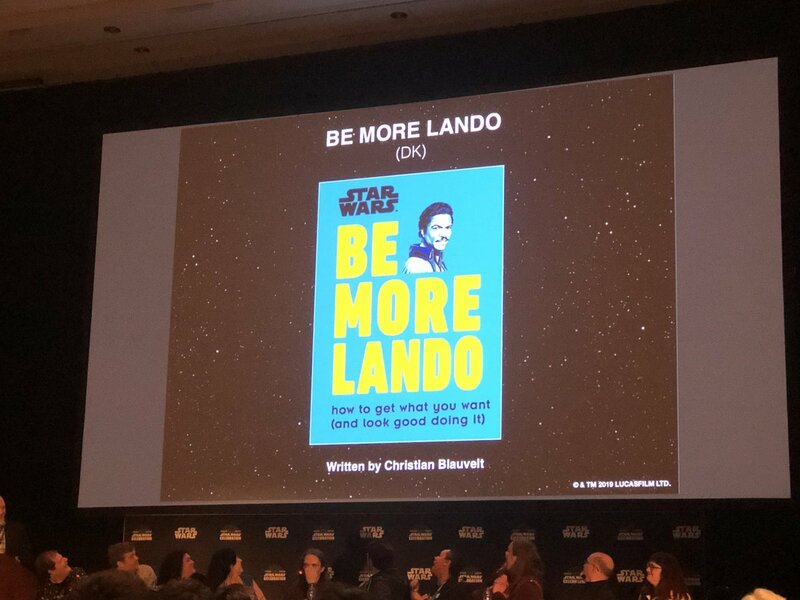 Thrawn's protagonist, Eli Vanto is back as a major character. While Thursday was free of panels and official literature announcements, our own Youtini members were on the ground to check out the festivities! Check out the smiling faces of Corey, Meg, and Karl in front of the incredible mural painted for the event. Meg, Corey, and Karl meeting for the first time! 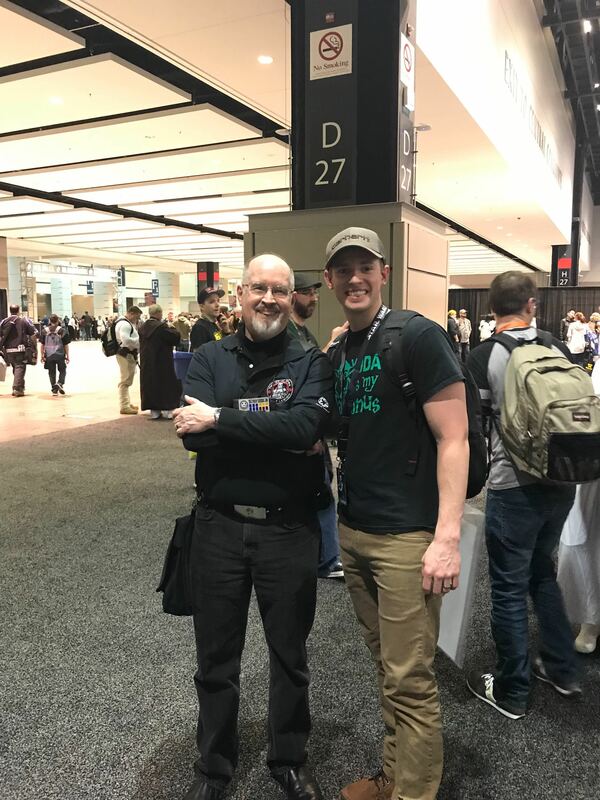 Corey also proved that you can never tell who you'll run into in the hallowed halls of Celebration when he met the man who started it all, Timothy Zahn!